Here's what you need to know to save lives. When November comes, deer all across the U.S. start acting a little nuts. This means that one might cross your path - and if you're driving, you need to be prepared. 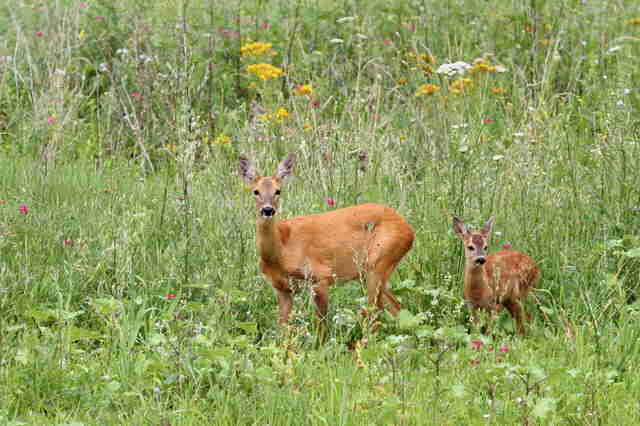 Every year there are about one million collisions with deer. It's thought that this is partially due to mating season, which typically lasts from October to December or January. And more deer-car collisions occur in November than in any other month. "Deer move more during fall months, although whether this is to secure breeding opportunities, or avoid hunting pressure is not totally clear," Sophie Gilbert is an assistant professor of Wildlife Ecology at the University of Idaho, told The Dodo. "And of course, it could be both." If you're driving in West Virginia, Montana, Iowa, Pennsylvania or South Dakota, you're even more likely to have a run-in. Beyond always wearing your seatbelt, here's what you need to know to make sure they - and you - stay safe. If you see one deer, it's very likely there's more where he came from. 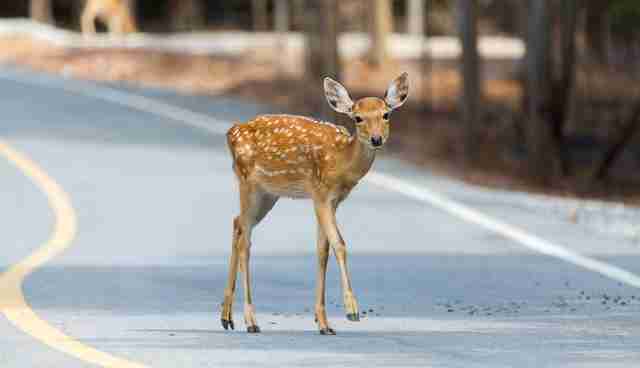 Whenever you see a deer, try to slow down and keep an eye out for other deer trying to cross the road. This will up your reaction time - and the likelihood that you and the animals will get through the encounter unscathed. Deer are crepuscular animals, which means they're most active at dawn and dusk, when predators are least likely to be a threat. Take extra caution when driving during these times of day. A little extra light can help you spot deer even sooner. Look for eyes reflected in the lights, and be sure to scan the sides of the road for animals who might be thinking of darting out. 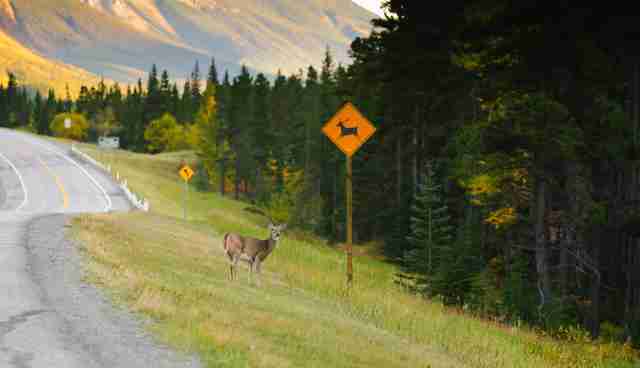 Roadsigns that warn of deer in the area aren't just there for decoration - they've been placed in areas where the deer population is pretty active, so take note of them and pay extra attention to movement along the sides of the road. If the road is wide enough, try to avoid lanes by the sides of the road. Even a few seconds makes a difference, so if you are farther away from the deer when she darts out, the better. It will also be less likely that your car whizzing by will startle them. Some people say that one long honk of the car horn can scare the deer out of harm's way. It's worth a shot, if you're in a pinch. If you do hit a deer, don't try to help the animal on your own, but calling the police or a local wildlife rehabilitator is the exact right thing to do when a deer and a car collide - it can mean the difference between life and death for animals. Just because the deer is lying there doesn't mean the animal is dead. Here's a list of animal rehabilitators by state who could be available to help. You can also look up your local emergency veterinarian or humane society and ask them what to do.